Businesses that generate large volumes of bulk documents are faced with a number of challenges which not only impact the bottom line but also place a significant risk on business continuity. 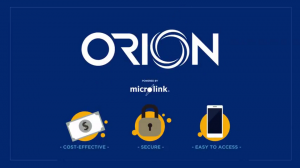 Technology solutions provider Microlink has addressed these challenges with the introduction of ORION, a cloud-based, highly secure environment in which to store, search, retrieve and share critical documents. One of the most significant advantages of the ORION solution is that an organisation’s critical documentation is no longer at risk from a range of physical threats including theft, damage or destruction by fire, flood or vermin and general deterioration. “In addition to this companies do not have go through the arduous process, not to mention cost, of cataloguing, packing and transporting their documents to a warehouse. Neither do they need conduct time-consuming searches for key documents that might be inadequately recorded and filed,” says Mr Lopez. Microlink, which is a member of the OMESTI Group, selected the International Malaysian Law Conference held from 21-23rd September in Kuala Lumpur to showcase the new platform, which has direct application for law firms. With ORION, scanned documents are tagged and indexed then uploaded to a highly secure auto-encrypted cloud platform. Authorised users can then easily perform intuitive searches, share and collaborate on specific documents. The solution uses Microsoft’s Sharepoint as the base infrastructure platform interfaced with a dedicated application development specifically designed to handle intuitive search criteria and bulk volume. ORION is available on an affordable monthly subscription basis with entry level option for five users with an entitlement of 20 million pages. Companies are provided with a dedicated branded portal where users can securely log in and retrieve the documents they need. The platform can be accessed from any location over desktop, laptop or mobile devices.